Hi Amigos! It’s John Freeman calling again, this time from Sajama village. 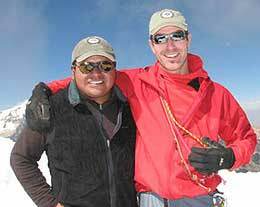 We left base camp this morning after packing up and getting our equipment ready to bring back here to the village. They guys are all doing very well. 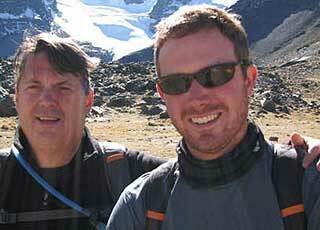 Jamie Robins and Jim Sibley, after a long summit day yesterday, are showing good signs of recovery. They walked back at a good pace and Jack is also showing good signs of recovery. The whole group is now getting ready for lunch of a local specialty  lama meat. 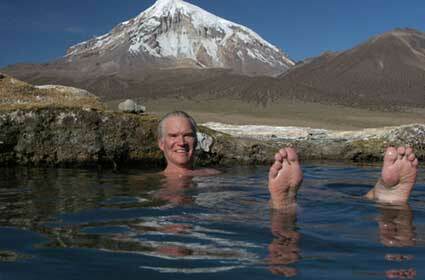 After that we will take a trip to enjoy the local natural hot springs before ending our expedition.